The weather doesn’t seem too promising at the moment, but soon enough you should be prepared to pack away your oversized fur coat and unpack all your flowery and colourful shirts. Spring is around the corner and your wardrobe deserves a fresh start! Designers are already presenting statement pieces, setting the new trends for this season. 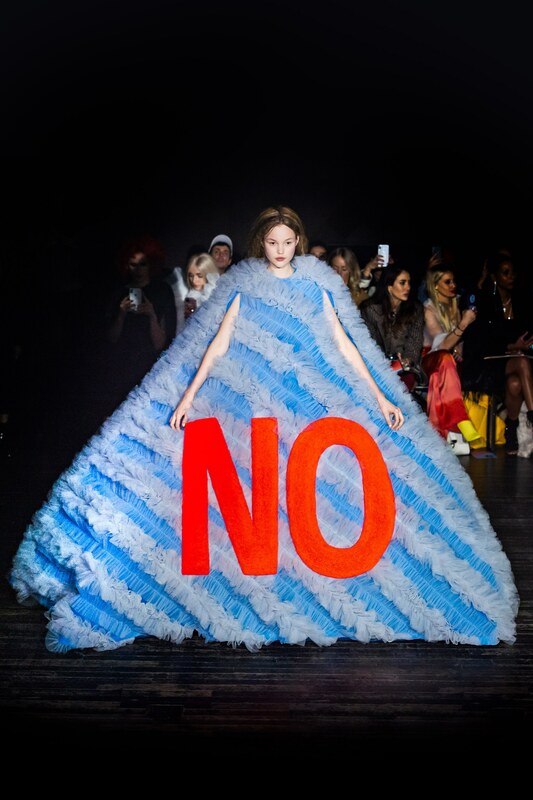 So… what are the must have items in your wardrobe for this Spring 2019? A true display of imagination and craft skill! 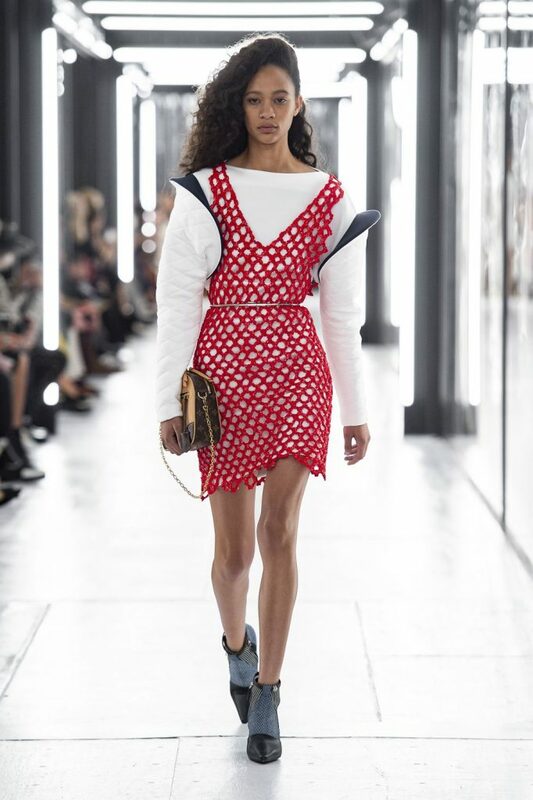 Raff Simons, Miu Miu and Matty Bovan are just some of the names which played with tulle, ruffles and voluminous skirts and sleeves in their SS19 Collections. This style will transform you into a Victorian doll! Designers such as Loewe and Marc Jacobs incorporated colourful feathers in their clothing, from tops, shirts or even as details on their shoes or accessories. 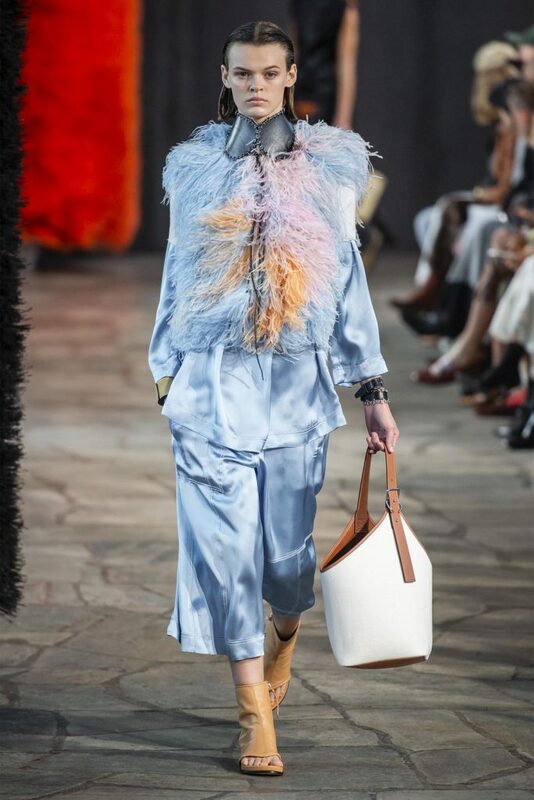 I guess feathers are the new fur for the warm season! 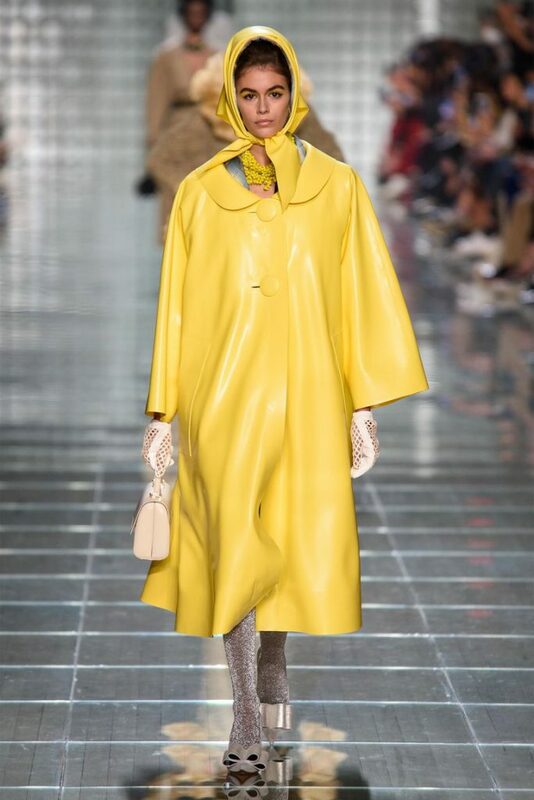 So easy to spot during the spring 2019 runways at New York Fashion Week, Yellow definitely become the biggest colour trend. Different shades of yellow made their debut this year, but Pantone established Aspen Gold as the colour for this season. Fishnet tights might not be in the centre of attention anymore, but this trend have been incorporated in other items: imagine fishnet dresses, tops or even pants. This was adopted by designers such as Altuzarra and Louis Vuitton. 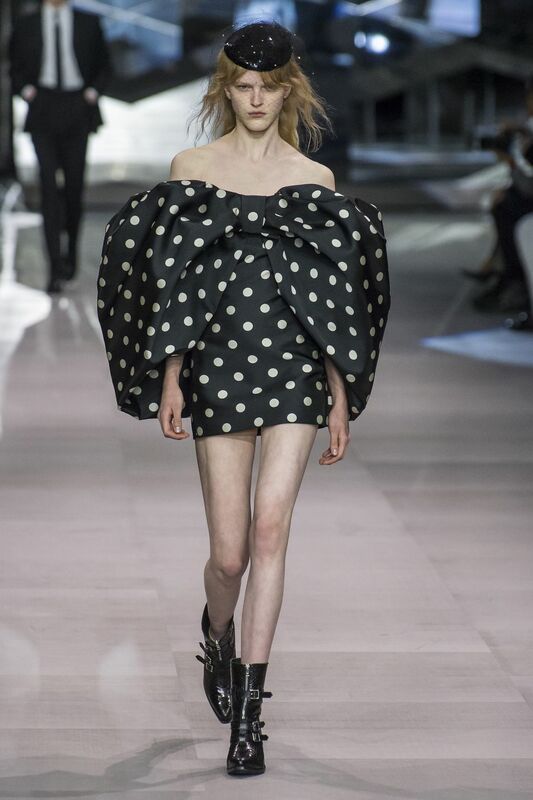 An all-time classic: the black and white polkadots are back in trend! This section is reserved for Viktor & Rolf’s “Fashion Statements” 2019 collection. 18 voluminous dressed were specially created to take social media by surprise and send an ironic message to the public through the imprinted texts. A powerful, colourful and breath-taking collection, which truly had great impact and created an impression all over the Internet. 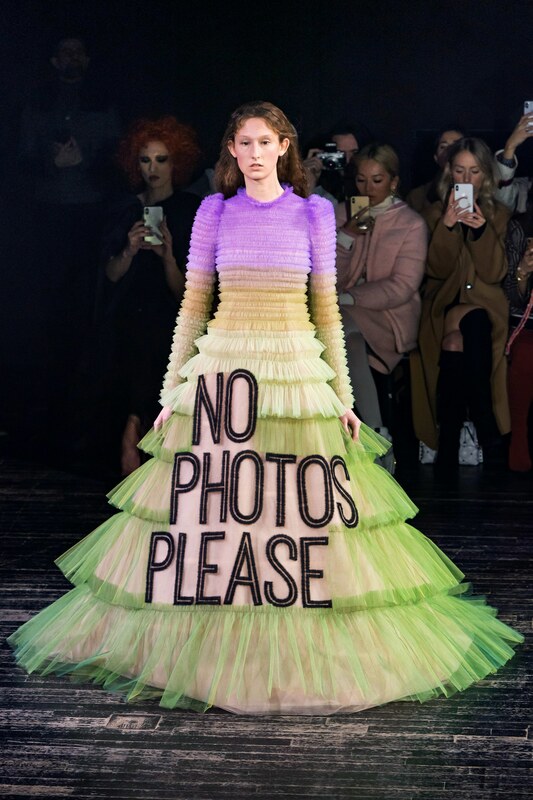 The meme inspired slogans like “Sorry I’m late, I didn’t want to come” and “No photos please” were meant to make reference to the common language used on social media and create a stylistic contrasting effect with the luxury dresses. Rolf Snoeren told WWD: “All these statements that are so obvious or easy — there’s a lot of banality on Instagram and social media in general — are counterbalanced with this over-the-top, shimmery, romantic feeling”. The conclusion? Speak your mind, be bold and don’t be scared to adopt vibrant bright colours! Most probably you already observed this trend in the high-end retail shops. Beautiful silk scarf prints are being reused and incorporated as patters for skirts or dresses. The results remind me of the bohemian style, but with an extra touch of elegance. 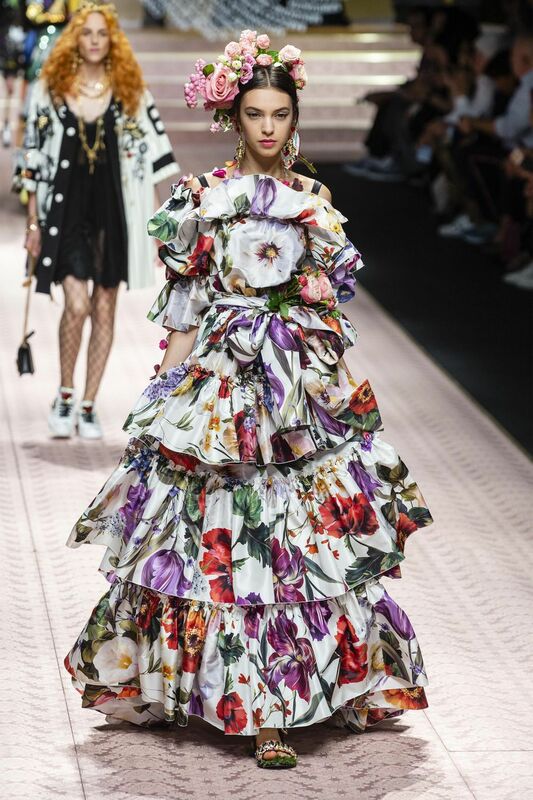 Designers such as Erika Cavallini, Etro and Valentino didn’t hesitate into taking a risk and mix this detailed and colourful prints.